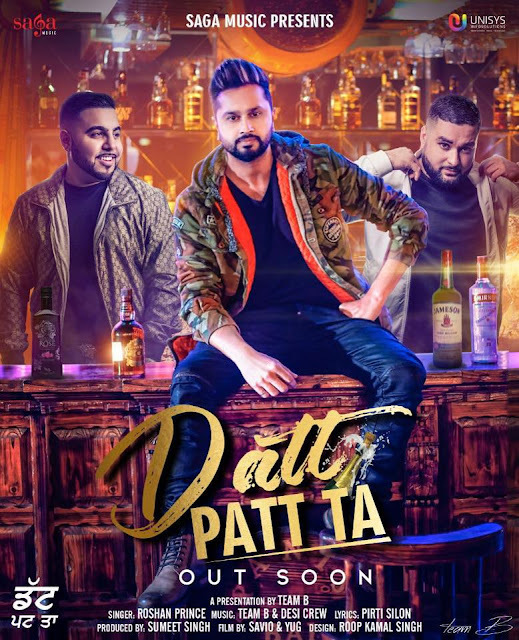 Roshan Prince New Song 2019 Datt Patt Ta, Roshan Prince dropping his latest single track titled Datt Patt Ta featuring the music of Team B & Desi Crew. Roshan Prince dropping his latest single track titled Datt Patt Ta featuring the music of Team B & Desi Crew. Roshan prince has officially posted first look poster of his new single track Datt Patt Ta. Lyrics of the song are penned down by Pirti Silon and video of the song is shot and directed by Savio and Yug.